In a fast-moving world we're often overloaded with differing opinions, conflicting data and changing advice. In this essential guide, Noreena Hertz offers practical steps to how to make better, smarter decisions. Most of us think we make decisions for the right reasons: we scour books, we talk over options with our friends, we search the internet, we ask experts, we look at data or we trust our guts. But how hard do we scrutinise those we listen to? How much do we interrogate the information they provide? Are we open to new ways of tackling problems? Or are we swayed by how we've made decisions in the past? 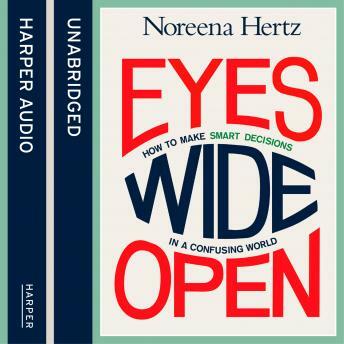 Noreena Hertz reveals the extent to which life-altering, business-affecting, policy-determining, and also health-defining decisions are being made based on partial information, assumed wisdoms, corrupted data and insufficient scrutiny. She provides a clear, practical toolkit for how you can be a smarter decision-maker and better problem-solver. Whether knowing when to trust experts and when to trust the internet or how you can be unconsciously swayed by certain behaviours or phoney stats, this books instructs you how to make better choices and more accurate predictions - through your personal life, your work and all your decisions.